Henry Schwartz, a prominent entrepreneur and EMPact America founder, spoke with Arutz Sheva following his organization's National Security Action Summit last week. The purpose of the conference was to save America from a "dire" situation, revealed Schwartz. US President Barack Obama has given Iran permission to build a nuclear weapon through a "bogus deal," charged Schwartz, warning the Iranians "will come back to Israel, G-d forbid, they will come back to America." "Giving Israel bunker busters and (fuel) tankers, and a lot more so that they can go ahead and do America's job is the very minimum that America should do," appraised the conservative leader. Schwartz warned that the Obama administration is "effectively an enemy" of Israel, opining that if Israeli acted to take out Iran's nuclear program, "Obama would probably be a detriment to Israel," and "feed intelligence" to Iran about Israeli activities. Israel must find new alliances and not rely on the US, warned Schwartz, saying "America is not going to be here to take care of Israel; it can't take care of itself." 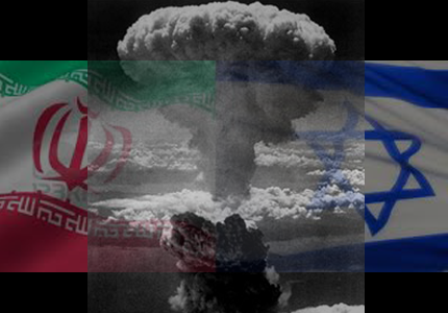 Turning to the Israeli public and leaders, Schwartz warned the Jewish state must "prepare for armageddon," given the clearly expressed Iranian intentions to destroy Israel coupled with the Islamic regime's nuclear program. On other fronts, Schwartz warned "the Cold War is not over, it's restarted," pointing to Russian President Vladimir Putin's invasion of Ukraine's Crimean Peninsula. Schwartz criticized US President Barack Obama's hesitancy, warning that as a result Russia was likely to move on other Baltic states and eastern European countries. To stop the Russian aggression, Schwartz recommended that the US make a deal to export liquefied natural gas to Ukraine and break the country's Russian dependence, in addition to military rearrangements in the region to send a clear message that invasions will not be tolerated.